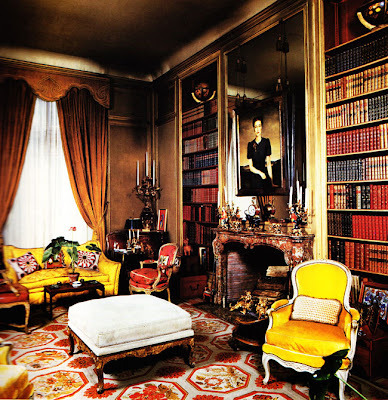 A reader asked me to post about my favorite books. 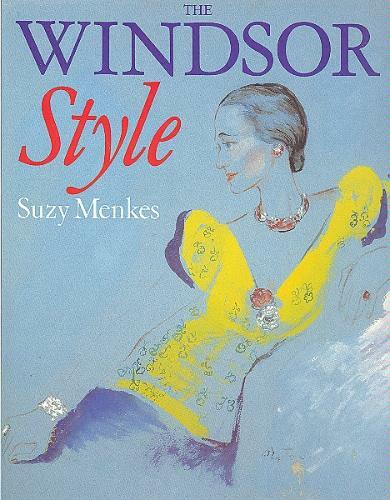 I have so many favorites that it would be hard to choose just a few but one that I find fascinating is The Windsor Style by Suzy Menkes. 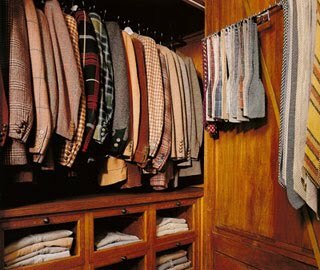 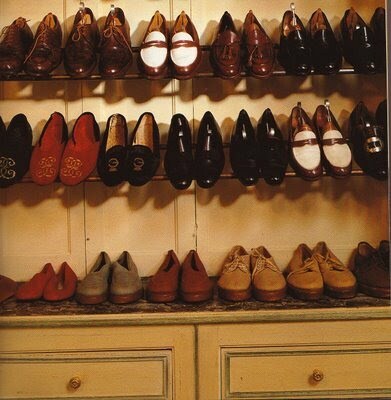 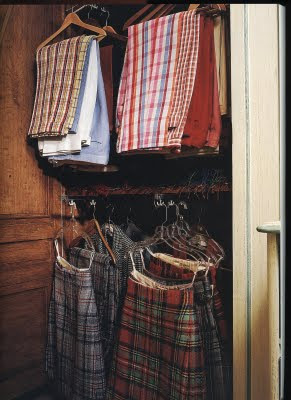 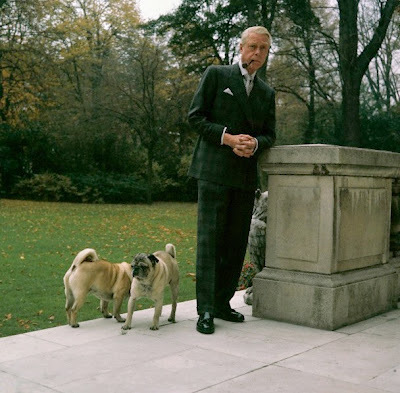 Whether you like them or not, you have to admit that the Duke and Duchess of Windsor had amazing personal style that extended from their wardrobes to their homes. 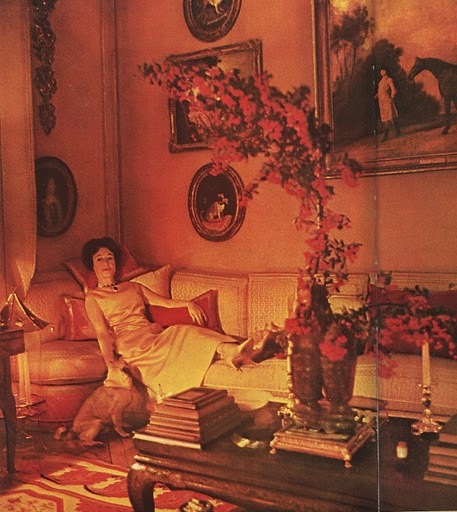 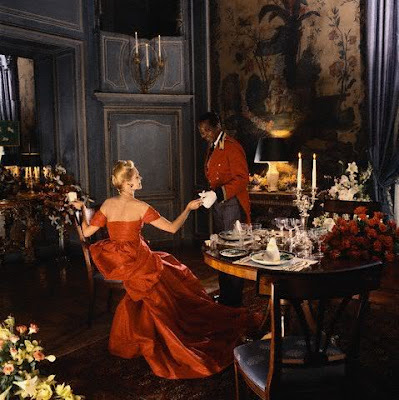 The stories about their dinner parties make you realize that no one lives as elegantly today except perhaps Mr. Valentino and some European royalty. It was a different time when table linens were embroidered to match each separate set of china. 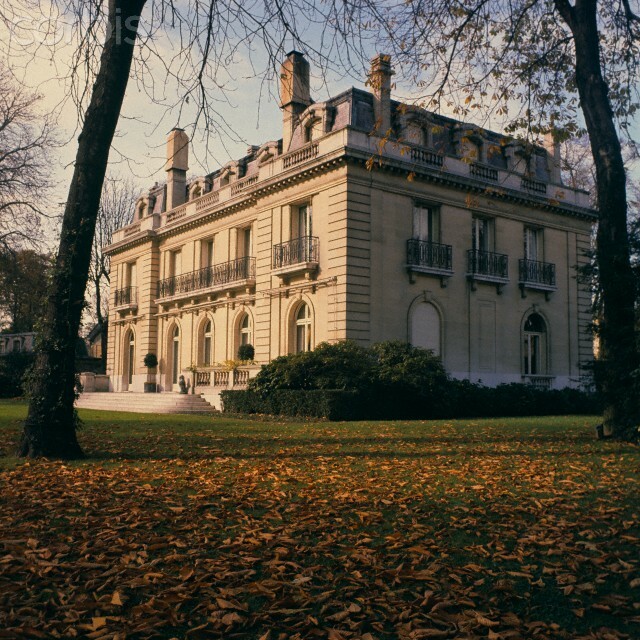 This is a look at their last home at 4 route du Champ d'Entraînement in the Bois de Boulogne. 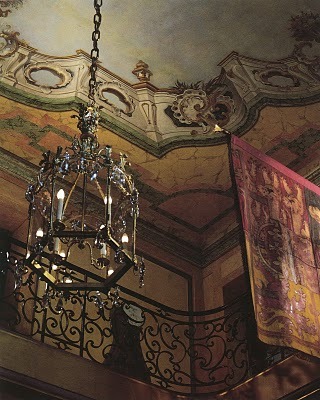 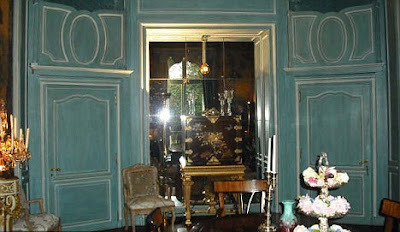 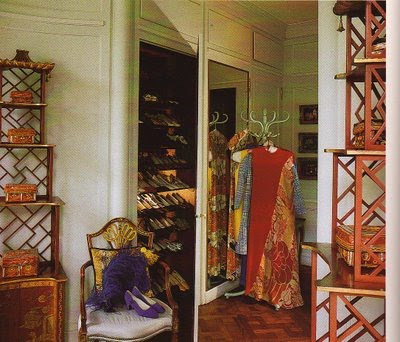 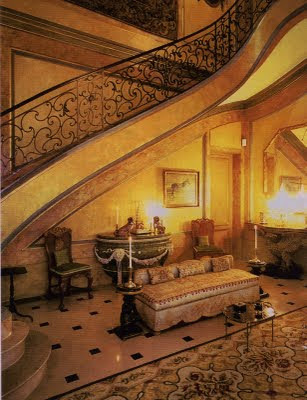 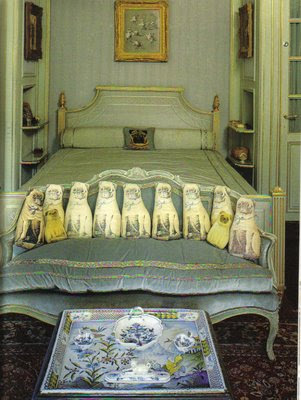 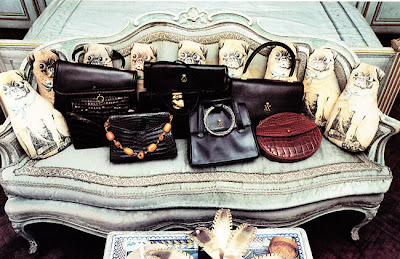 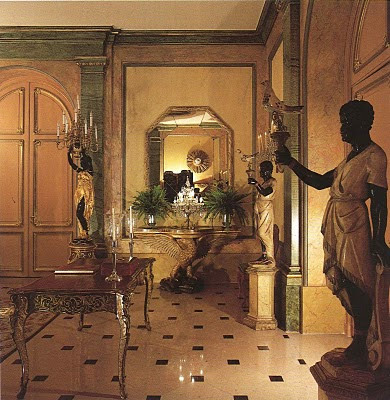 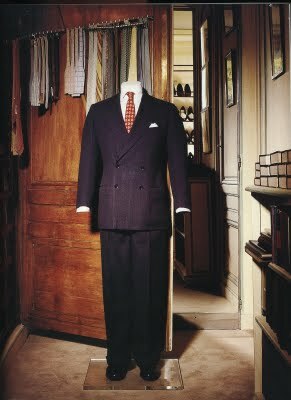 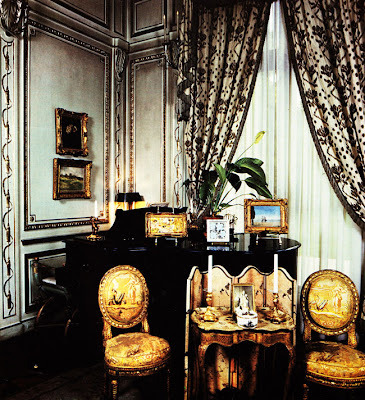 The Windsors took over the house from General de Gaulle in 1953 and it was decorated with the help of Stephane Boudin. 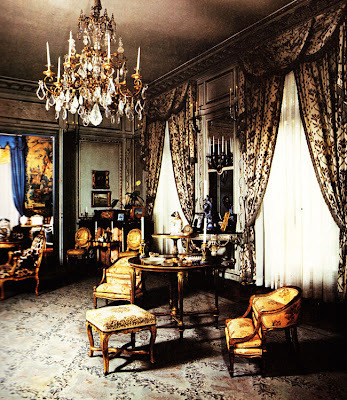 After the death of the Duchess much of their French furniture was donated to Versailles and Mohammad al-Fayad bought and restored the house which had seen better days. 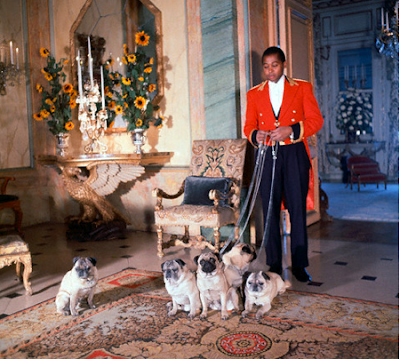 Sydney Johnson and the pugs. 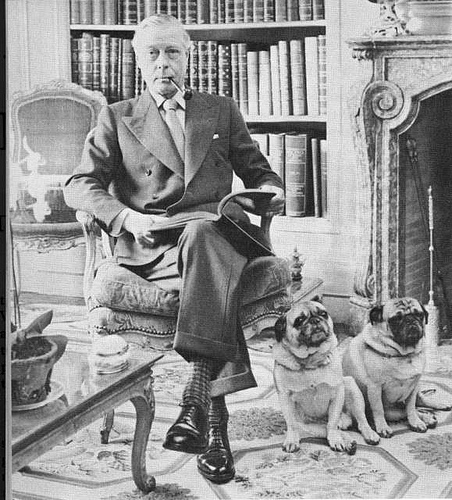 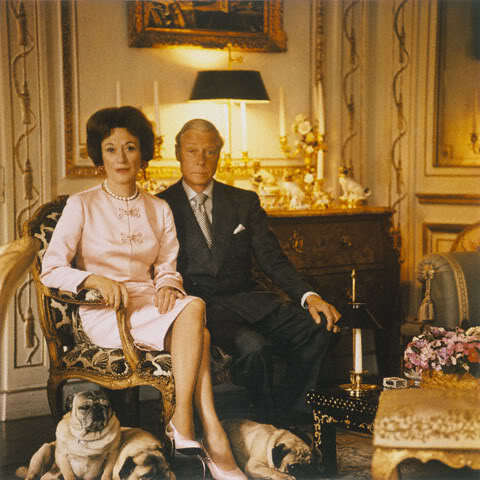 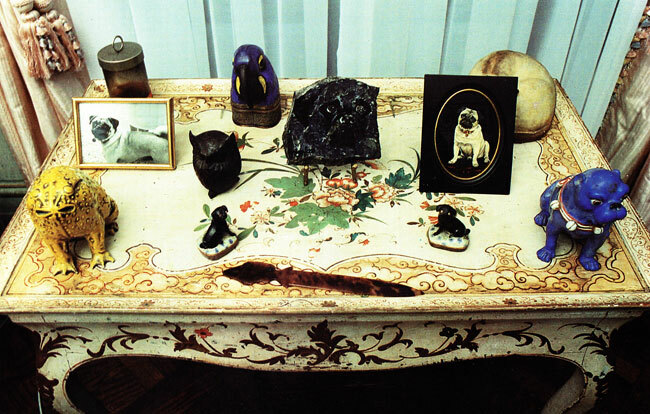 The Duke and Duchess of Windsor in front of a Louis XV commode topped with Meissen pugs. 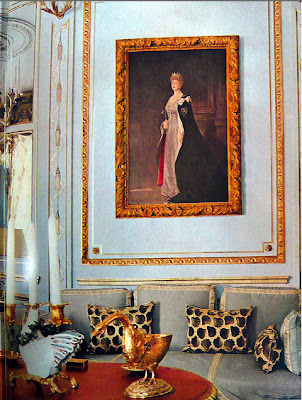 A portrait of the Duke's mother, Queen Mary, by Sir William Llewellyn. 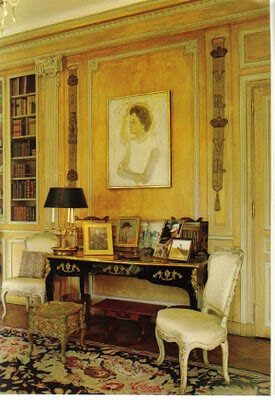 The library includes a portrait of the Duchess by Gerald Brockhurst from 1939. The silver and blue salon with Louis XVI furnishings. 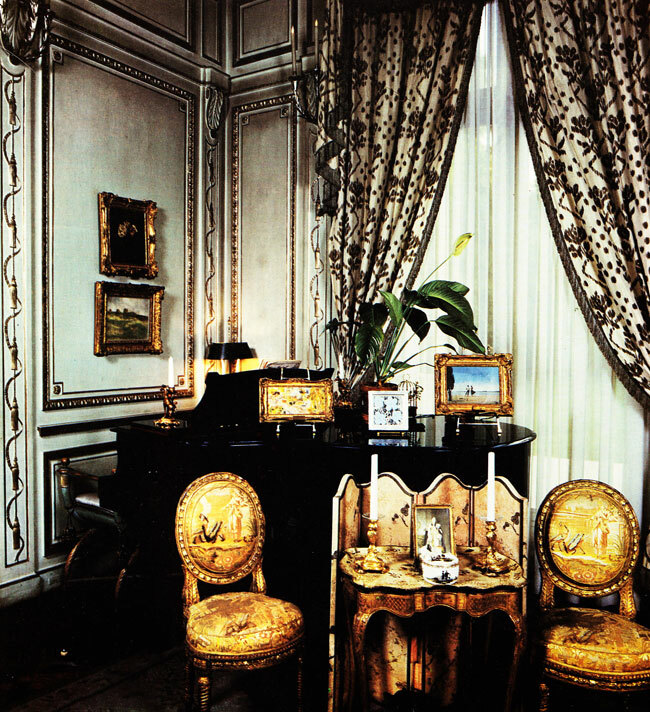 Cole Porter will play the piano when he came to visit. A photo shoot in the room from 1980's . A photo shoot in the dining room from the 1980's. A recent look at the dining room. 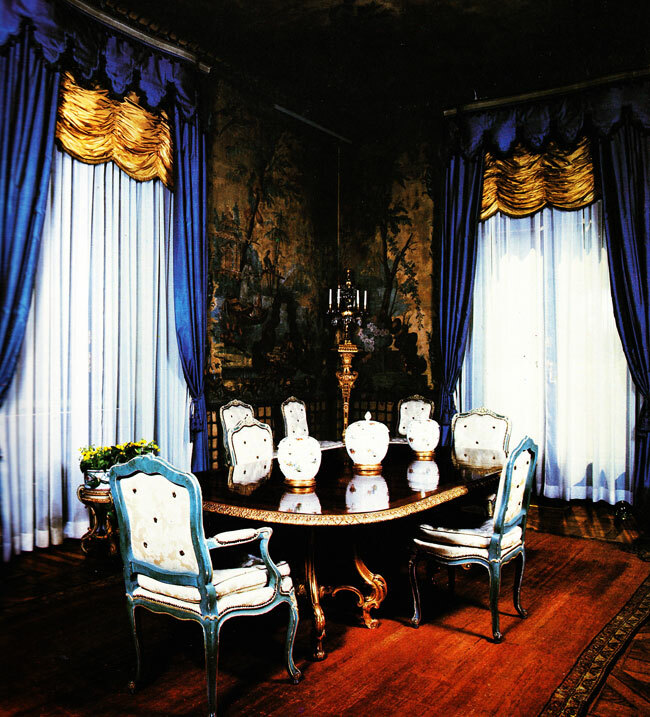 The dining room would hold three tables for eight during dinner parties. 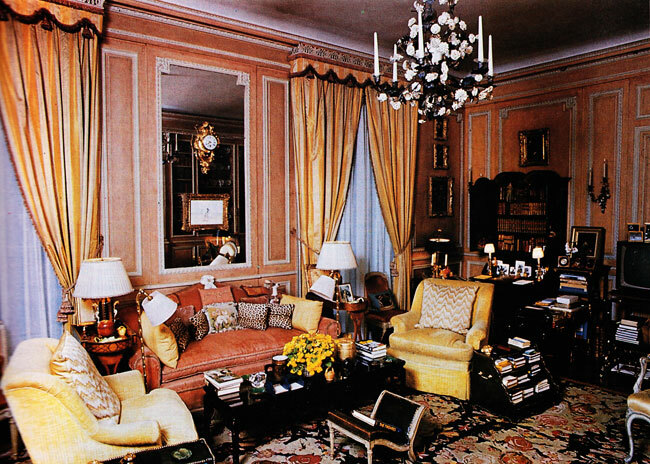 The sitting room that separated the Duke and Duchess' bedrooms. 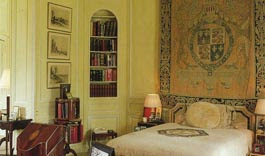 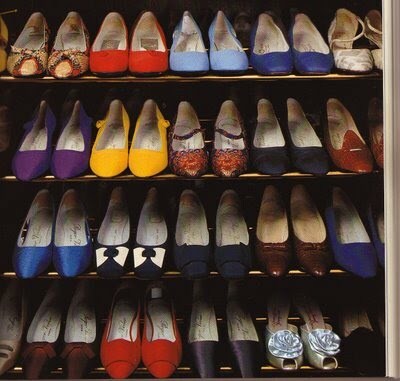 The bedroom of the Duchess. 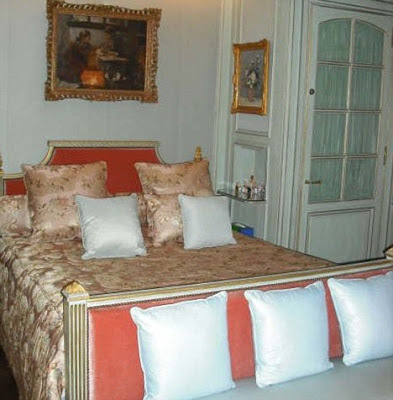 A more recent look at the bedroom. 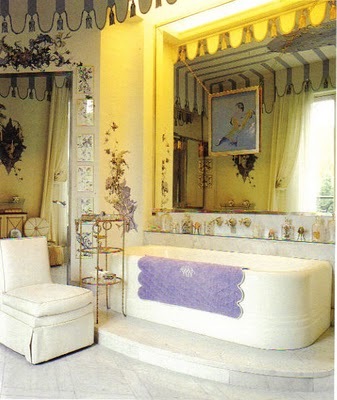 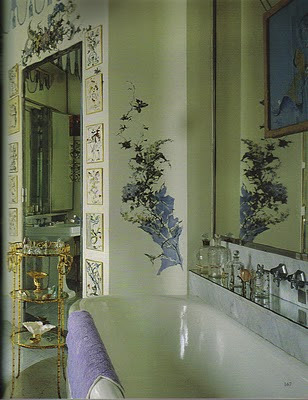 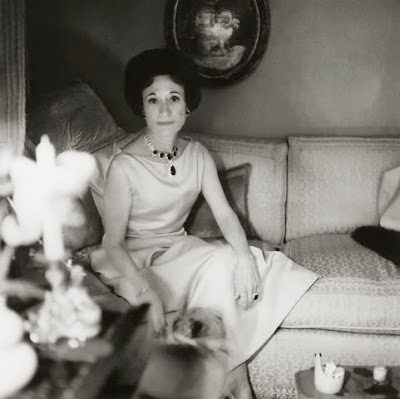 The bathroom of the Duchess includes a portrait by Cecil Beaton over the tub. 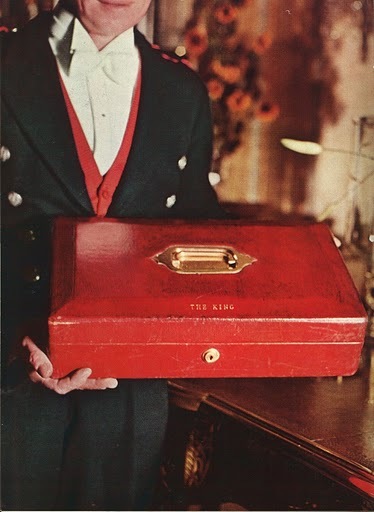 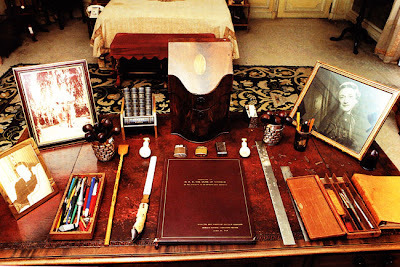 The desk of the Duke of Windsor.